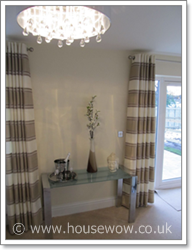 When deciding to carry out home staging work, install a show home or plan for a home makeover you will need to feel confident that the person or company has the credentials to carry out the work to the highest standards. Firstly check their portfolio. Check that the images are property of real customers and not not 'stock photo' images just bought in. Ask for references, check that previous customers will recommend their work. Check qualifications and experience. Check that they are insured for public liability insurance in case anything should go wrong. Check that they are registered with the data protection to show they know and support the legislation to ensure that your information remains confidential. Check that their company is properly registered with a business registration number. Do they have a team of people - so that if you need a fast turnaround job or someone is ill or on holiday they can call on a number of people? Check that they provide a total quotation in writing with terms and conditions written by a solicitor so that it complies with trading laws that protect the customer as well as the business. 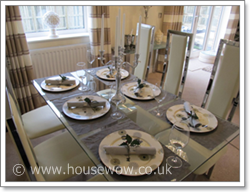 All of the images on the House Wow web site are real customer projects, some started as empty property and were fully kitted out with furniture, accessories, curtains, blinds, flooring and decoration, others started as property which was de-cluttered and styled with existing furniture. Happy hunting for your ideal home staging and interior design professional! If you feel that your search has ended here - please contact us and we will be pleased to chat with you about your requirements. Its vital to have a clean home when preparing to sell. See more on residential cleaning services in Leeds here. If you are a first time home buyer then mortgage deals, builders deposit offers, avoiding stamp duty and shared ownership tips can be found at Top tips for first time home buyers with the Home Staging Network. is usually less than the first price reduction."